LANCÔME Grandiôse Liner - Bendable Eyeliner Gimmick ? 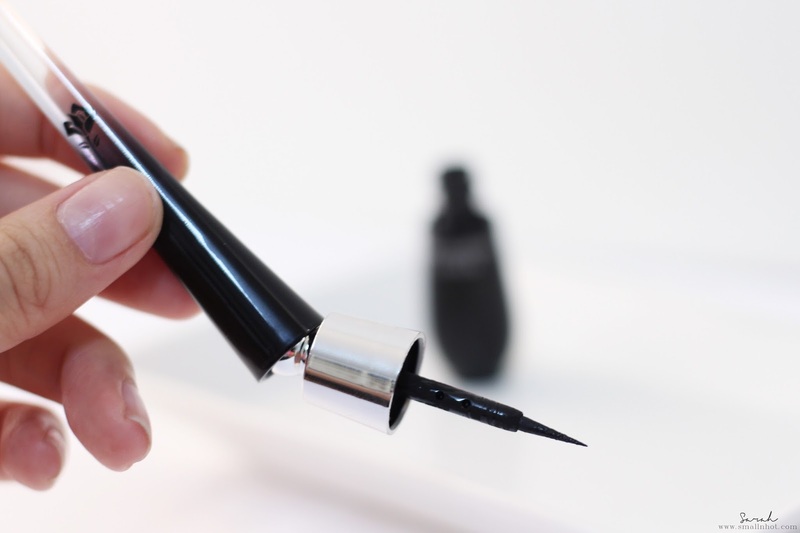 LANCÔME Grandiôse Liner promises a flexibility, high precision, long wear intense, matte finish and smudgeproof. You'll LIKE it if you enjoy bending your eyeliner and probably had difficulties in getting that cat eye flick with normal straight eyeliner. And the matte black finish which is total smudgeproof after it dries up. You'll HATE it if you are used to the typical kind of eyeliner design and fancy 'potless' eyeliner pen or pencil because you'll find yourself dipping into the bottle quite often just to get the cat flick. I must issue a little disclaimer here that I'm not truly a liquid eyeliner gal and my language of eyeliner is pretty basic, as long as it applies on easily, no smudging, no transfer and precise, then I'm good to go. And I am telling you that the LANCÔME Grandiôse Liner did check one or two boxes here. First let's address the color, it does have a true matte black finish as promised but you do need to apply at least two layers to get a pigmented black color else it would look rather pale and incomplete. 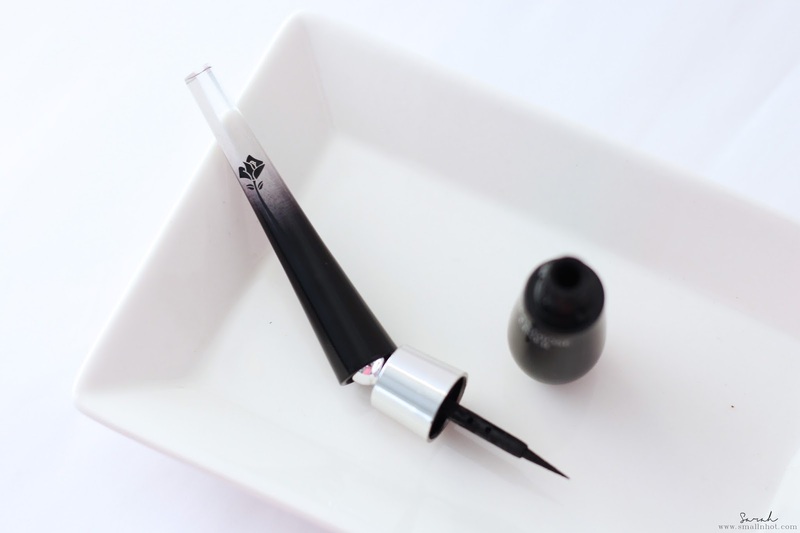 It's one of those you need to dip and dip the eyeliner into the bottle just to pick up the color, which could be quite time consuming if you are in a rush and also reduce the longevity of this eyeliner. The bottle is rather small and the brush doesn't seem to reach the bottom to soak up the product so by the 3rd time of using it, I have to tilt the bottle side way just to pick up the product, which is quite a shame for the price I paid. 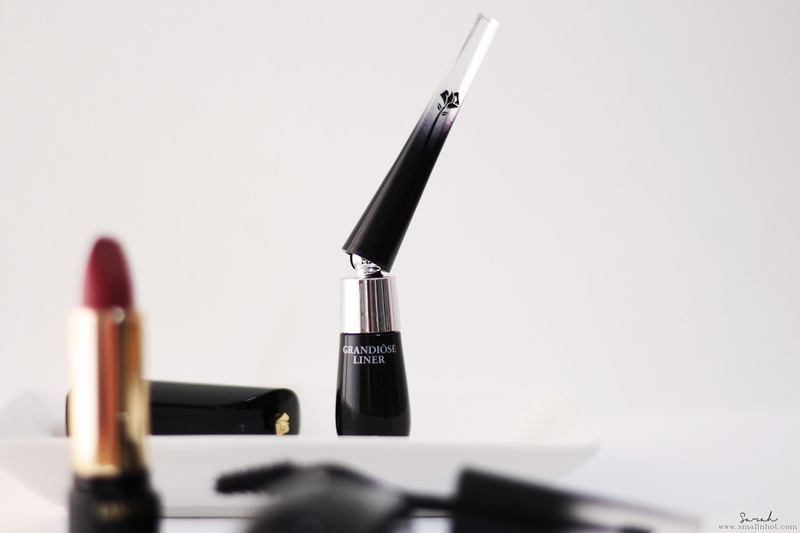 Now, I guess you guys are pretty excited to find out whether the LANCÔME Grandiôse Bendable Liner is a practical design or just a bendable gimmick ? I've had a google and there are quite a mix review on this, some do like the idea of the bendable wand while the others are finding it harder to work with and saying that it's just gimmick. Well, I have to admit the bendable wand was very intriguing but I have tried bending the eyeliner to the left and right to get the cat flick, it just doesn't seem to work, it seems to be even harder to get the flick. Then I figured maybe it would be great to use this on other people but still I can't seem to work it out even on someone else. In all honesty, I don't find the bending feature of this eyeliner useful, it's more of a gimmick to me. 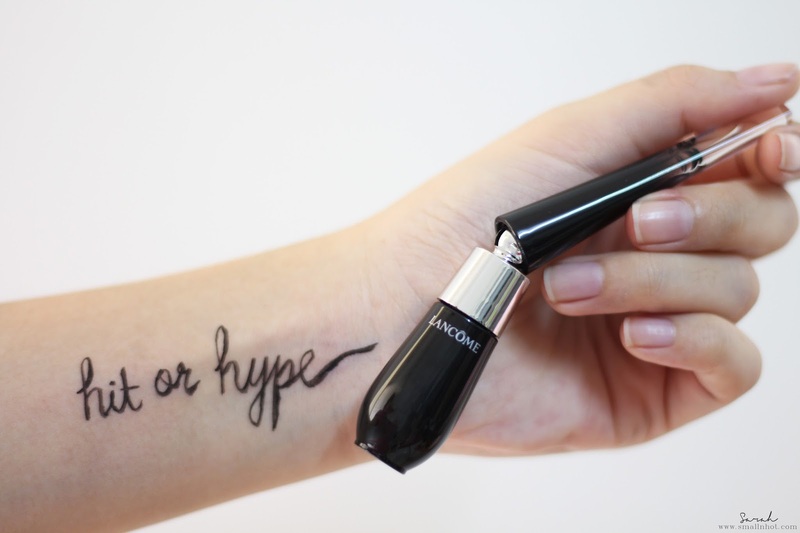 Overall, this LANCÔME Grandiôse Liner has a matte and long wearing formula with a precise tip but the idea of bendable eyeliner wand, I still have my doubts.